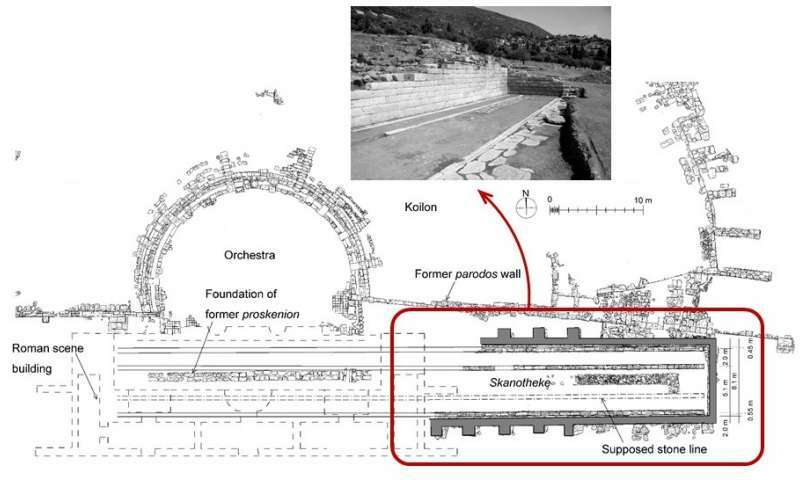 An investigation by an architectural researcher from Kumamoto University, Japan has revealed the high possibility that a wooden stage existed in the theater of the ancient Greek City of Messene during the Greek Classical period (ca. 369 BC). The evolution from the rustic, open theaters of ancient Greece to the magnificent theaters of the Roman times clearly demonstrates the passion that the people had for the theater. The ancestor of modern theater architecture is the theater of ancient Greece and Rome. The simple and open ancient Greek theater (around 323 BC – 31 BC) was composed of a circular orchestra, a stage, and bowl-shaped seating area for the audience. In the Roman times (31 BC -), the stage grew higher and was decorated with marble column pillars which eventually evolved to splendid, closed theaters with integrated audience seating. The development of this theater construction was thought to involve a change in the theater stage at the end of Hellenistic period, but the details are not yet known. After its excavation in 2007, a large storage room and three stone rows were discovered beside the stage of the theater at Messene by a group from the History of Western Architecture Laboratory of Kumamoto University who were conducting a field study. Two similar cases are known to exist in close proximity to Greece, one at Megalopolis and one in Sparta. However, researchers had differing opinions about the specific functions of the storage rooms and stone rows found in these ruins. The Kumamoto University researcher carefully scrutinized and compared the three sites and considered the appropriate functions of the stone rows and storage rooms. He determined that the stone rows remaining in the Megalopolis theater, the oldest of three, would have been used to set up wooden background picture panels, and the stage storage room would have likely been the custodian of such panels. Furthermore, the stone rows in the theaters of Sparta and Messene have similar dimensions. If it can be considered that the two theaters were complementary to each other, then the possibility that an additional stone row, which would have provided wheel tracks of standard size, existed at these two theaters becomes clear. 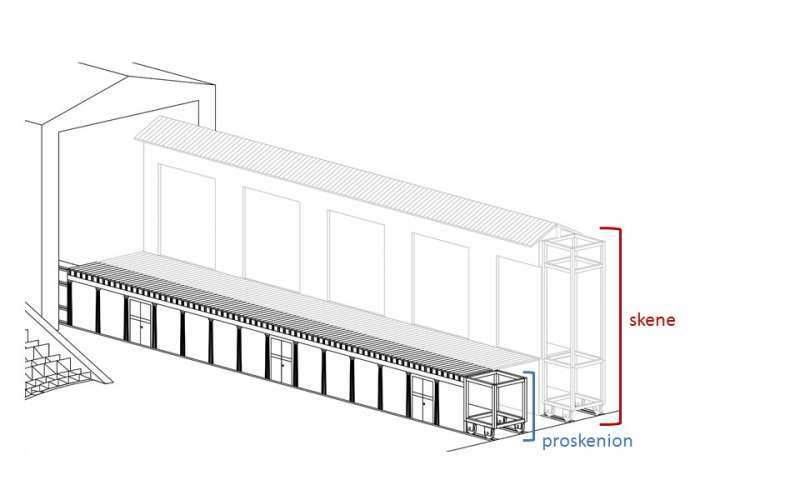 Yoshitake, R., The Movable Stage in Hellenistic Greek Theatres, Archäologischen Anzeigers, May, 2017, 119-133.